Every year, my hubby and I spend our birthdays with an out-of-town trip. Last year, we celebrated our birthdays in Biliran and Leyte, where we explored the pristine beaches of Sambawan Island, the rugged Agta Beach Resort and Dalutan Island, and the enchanting Ulan-Ulan Falls. This year, we had our birthday bash up north, in the rustic and laid-back Ilocos Norte. Our first stop: Pagudpud. Pagudpud is a sleepy coastal town at the northern tip of Luzon bordered by the towns of Bangui and Adams, as well as the Cordillera mountains and Claveria (in the province of Cagayan). This town is famous for its beaches (Maira-ira a.k.a. 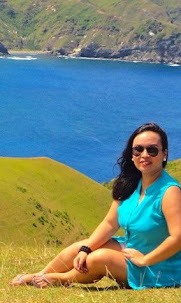 Blue Lagoon, and Saud) and other eco-tourism sites like Bantay Abot cave, Kabigan Falls, and a lot more. Maira-ira beach or Blue Lagoon is said to be the northernmost tip of mainland Luzon. Major local airlines such as Cebu Pacific and Philippine Airlines fly daily to Laoag, Ilocos Norte's capital and the gateway to Pagudpud. Flight takes about an hour. From the Laoag International Aiport, hire a tricycle (or a van if you are with a big group) that will bring you to the centro or city proper where the terminals of buses and vans are. Standard tricycle rate is Php 150. The tricycle driver that we hired was Jonas Penaranda (+639063956176), who happens to own the most photographed Bumblebee-inspired tricycle in the city. If you are planning to rent a van on the other hand, I highly recommend Kuya Lenzer, a van/tricycle owner and tour guide based in Pagudpud (+639068185735). Board a bus to Pagudpud or a van to Claveria. If you opted to go with a van, make sure to tell the driver that you will alight at Maoini. Fare is Php 100. 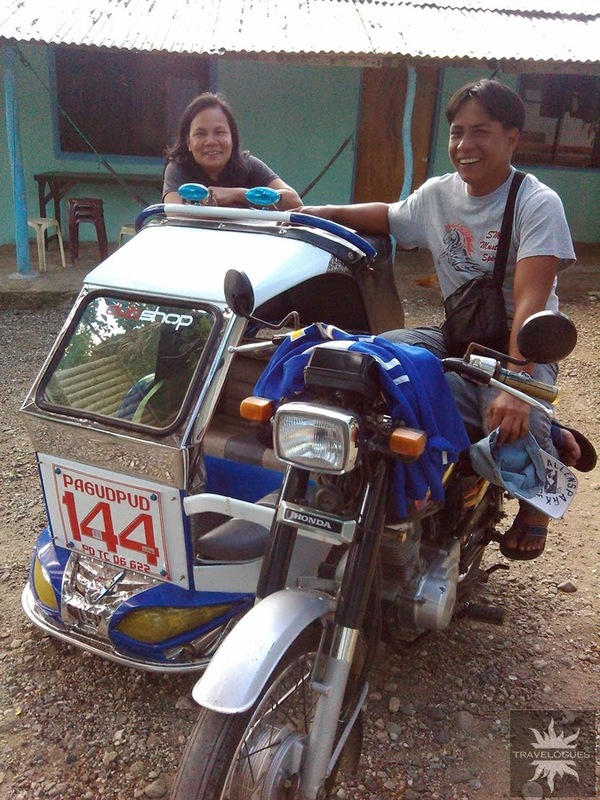 From Pagudpud centro or from Maoini, hire a tricycle to bring you to your accommodation of choice. Kuya Lenzer can help you on this. Major local airlines such as Cebu Pacific and Philippine Airlines fly regularly to Tuguegarao, Cagayan. Flight takes about an hour. From Tuguegarao, board a bus to Laoag or Vigan. This will pass by Pagudpud. Travel time is about 5-6 hours. This route is recommended if you have plans of exploring Cagayan's Babuyan Islands, Palaui Island and Anguib Cove, and Callao Cave. There are buses that travel from Manila to Pagudpud (Florida) and to Laoag (Partas and Farinas). Travel time is about 12 hours or more. If you are travelling during the habagat (southwest monsoon) months from June-September, the waves are calmer at the Blue Lagoon area unless there is a typhoon, of course. If you are going during the amihan (northeast monsoon) months from October to February, stay in Saud Beach, where the sea is quiet and pristine. Summer months from March to May are generally okay but expect crazy crowds especially during the Holy Week. Accommodations in Saud Beach are generally cheaper than in Blue Lagoon. For some reason, I find the pension houses and resorts in Blue Lagoon overrated/overpriced. A pension house costs around Php 2,000 per night, while it will only cost around Php 500-800 in Saud area. Much have changed in Pagudpud through the years. The once quiet and idyll Blue Lagoon is now a party, loud strip. If you are into some night life and other water adventures, stay in this area. It's like Puerto Galera or a...yeah, a Boracay, in my opinion. Saud Beach is much more peaceful and serene. The sand, both in Saud and Blue Lagoon, is pretty much the same. During our recent trip to Pagudpud, we stayed at Rey's Place (+639203020873/+639154380319) in Saud Beach. It is not a beachfront, but it will only entail you about 30 steps to the shore! It is located at the back of Casa Victoria and Arinaya. It is even nearer to the shore than the more popular Brittanya Lodge, which is located further back. We got a room for two at the first floor, which costs Php 800. Since it was off-peak, the owner gave us a discount (through Kuya Lenzer's effort and haggling skills). We only paid Php 500 for an aircon room complete with a comfortable mattress and a private toilet and bath. Rey's Place has a bigger room good for six people. Price is Php 2,000 for peak and Php 1,500 off-peak. You can also cook and use their kitchen for a minimal fee. For those who prefer to stay at a beachfront resort in Saud, check out Casa Victoria. Their room rates are fair enough at Php 1250 and up. They also have a beach-side restaurant that offers reasonably-priced meals with generous servings. Sunsets here are also fantastic! Breakfast starts at Php 110, Lunch and dinner menus with emphasis on bagnet (crispy pork belly) and other Ilocano specialties are also available. There are no air-conditioned public vans from Laoag to Pagudpud, so bring a fan. Private vans however, are air-conditioned. Don't forget to apply and re-apply sunblock from time to time. Saud is one scorching hot destination at daytime.